It's not often that I find myself playing Steam released games and with so many on offer, I find the really good ones often struggle to stand out from the crowd. 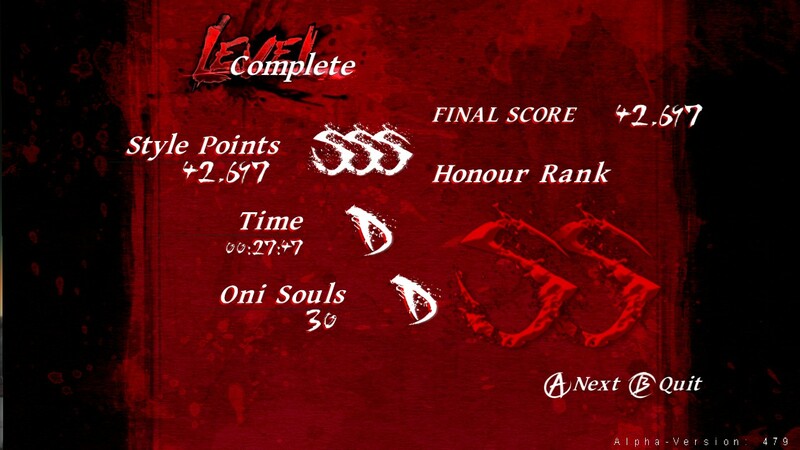 Does Onikira succeed in achieving this, or is it better off left untouched? Upon firing up the game, you're presented with an interactive start up screen which doubles up as a training area for practicing combo's outside of Onikira's campaign. This is good as it allows for you to experiment without the risk of dying and quickly refreshes your mind if you've stepped away from the game for a while. Now aside from the cool and catchy, slightly silly title (Onikira can literally be translated into "Demon Killer", making it "The game so good, we named it twice"), Onikira: Demon Killer isn't without its faults. When you first load up Onikira, a splash page comes up, recommending you to begin play with a controller instead of the standard keyboard and mouse loadout. I however, do not have a spare PS3/Xbox 360 controller to use with my PC, so I had to make do with the old tried and tested way, which to be honest wasn't ideal. For the most part, Onikira controls fine on Keyboard. That is until you reach Act 3 of 7. Unfortunately, there are several problems I found here. To start with, each tutorial that pops up refers to the Xbox 360 controls and not those of the PC. That would be fine if it explained things properly, but instead, rather than acknowledging your control settings, you're told to hit "A, B, X, Right Bumper, Left Trigger" for example and not "Light Attack, Heavy Attack, Jump". Even when you go into the control settings, it doesn't say in brackets that light attack equals X on the controller, meaning that although you can work out what you're supposed to be doing through trial and error, the on screen pop-up tutorials serve to confuse those playing on keyboard rather than aid, making them pretty useless for the most part. Like DMC, upgrade menu's show how combos perform. On a controller I'd imagine these issues likely wouldn't be issues at all, but when keyboard controls are so awkward at times that they prevent you from progressing through the levels, Onikira can leave you frustrated instead of thrilled, which for me is a massive shame because I actually really like the game. 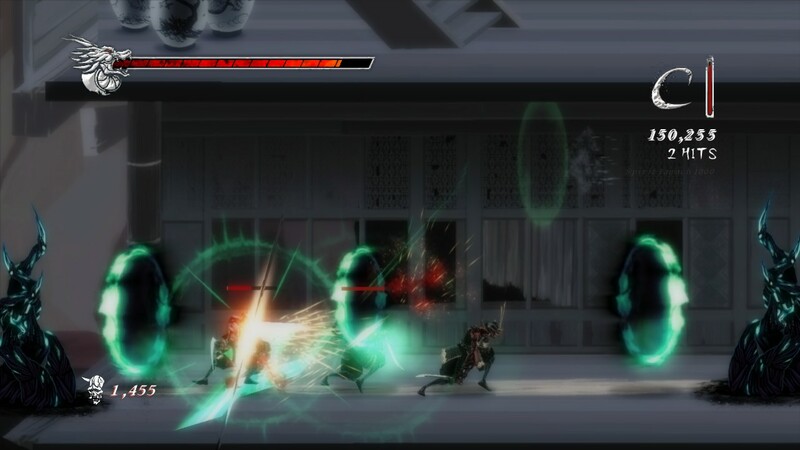 Onikira spans across 7 Acts and has you begin play as a stereotypical Samurai Hero. Within a few seconds of play, Demons have invaded your home world and are wreaking havoc, destroying everything in their path. You quickly befriend a "Mushu-esque" dragon who accompanies you on your journey, before defeating a huge Demon, realising that your Father's in trouble and then must head to his location to save him. From this point, he then directs you to The Tengu clan (the Emperor's information gatherers) to find out what exactly is going on. Without spoiling too much, that's pretty much the gist of things and it's a very "point to point objective based game. From where I got up to, I found the story to be quite weak, but it gave just enough information for you to know what your next objective was and gave you a little incentive to find out what exactly is going on, aside from the obvious Demon invasion. I feel the main selling point of Onikira however is the gameplay and as such, I've focused my entire review on this section, which you can see below. 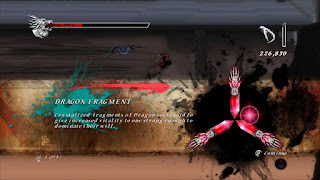 If you could mix elements from top 3D action games such as Onimusha, Devil May Cry and Ninja Gaiden, and then re-map everything to work in a side-scrolling 2D environment, this is exactly what Onikira: Demon Killer does. 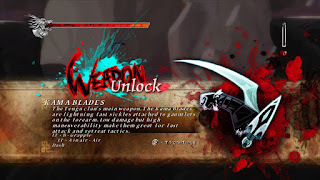 It plays a lot like Devil May Cry in that several weapons are available to you and unlocked as you progress through the game, and for each weapon you have a set amount of combos you can unlock. You can also swap weapons on the fly and you're ranked for combat performance all the way up to SSS Rank. 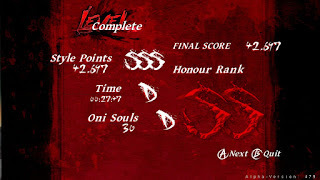 I didn't get to complete the game due to reasons mentioned above, but the highest combo rank I reached was SS. The ranks are also named, so S is titled "Samurai" and SS "Sensei", respectively. When I first played Onikira there were three weapons available to me pretty early on, but since then and one pretty big update later, I was no longer able to use two of these three weapons and actually ended up unlocking a newer, rather cool weapon named the "Kama Blades". This meant that I've been able to test out the Katana (your starting weapon), the Naginata (a long reach weapon with good speed and medium damage - It has a prop-shredder-esque move for those DMC fans out there and can pull enemies up from the ground toward you when performing aerial combat), the Tetsubo (a massively slow, but overpowered weapon) and the Kama Blades, which allow for you to dash further, dive down towards enemies and pull off some crazy looking uppercuts. Forearm mounted Scythes for every aspiring Batman out there. You can also "jump cancel" just like in Devil May Cry 3, 4 and DmC. If you launch an enemy into the air you can press the heavy attack button to remain on the ground or hold it to launch yourself up with them. Once up, you can mash the light attack button for lengthy combos, jump off of the enemy and target another one, dash (this lets you phase through attacks if timed well) or even jump up higher to then simply smash your enemy back down to the ground with another heavy attack. Through experimentation, I quickly discovered this can be exploited, though I feel this to be beneficial because sometimes when you have far too many enemies on screen, it's nice to just keep jumping and slamming down on your enemies with a heavy attack, as the animation is able to mostly keep up with your input commands. While dashing you're effectively invincible provided you get the timing right. 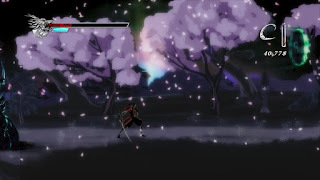 There's a delay at the end of the dash animation which leaves you vulnerable, but when you have Demon Eye Lasers, Bombs and Magical Bullets flying your way from all directions you'll need to work out on the fly whether you should jump and mid-air dash, double jump, jump cancel from an enemy or dash along the ground out of the way. There's a risk/reward factor here and where the risk may be high, the reward is that everything dies once you get your opening. For me, I see it as a good trade off. Of note, when you kill an enemy, they provide you with different kinds of orbs. Some refill your health gauge (which can be upgraded with three Dragon Fragments, found on each level/Act) while others give you "Souls" for upgrading your weapons at a Soul Portal or at the end of an Act. 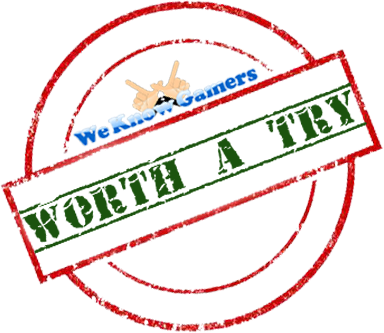 Taking inspiration from Ninja Gaiden, you can also wall run, jump from wall to wall and as previously stated, dash about like a mad man. 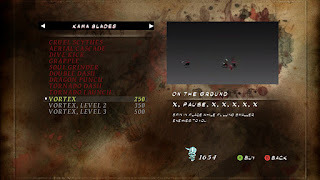 Strong gusts of wind can aid or hinder your movement (slowing your movements or flinging you up to higher, otherwise out of reach locations) and the Kama Blades are also a pretty decent tool for traversing obstacles, allowing for you to pause in mid-air to aim for grappling points throughout the levels. 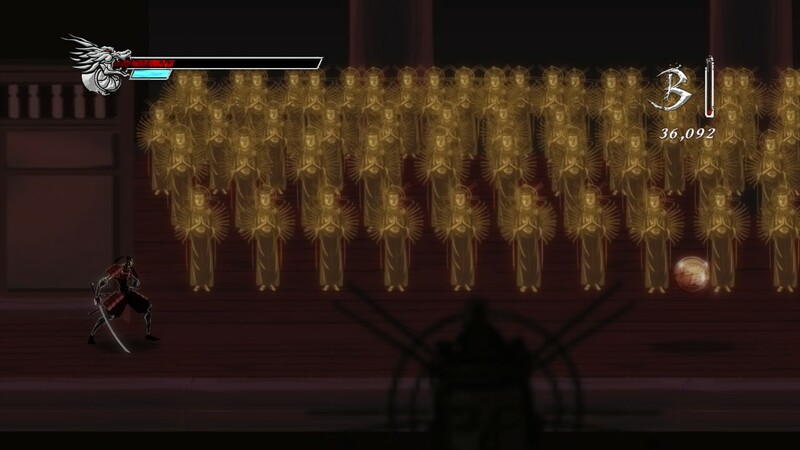 You can also target and pull yourself towards enemies, but due to these mechanics not transitioning too well over to the keyboard controls, this is what prevented me from progressing any further than Act 3. Environmental hazards are also present and can both hinder you and/or work to your advantage. At one point you can cut the supports holding a large bell in place, sending the platforms swinging and if you launch an enemy skyward into its path, they instantly die. On one level fiery debris rains down upon you, while short chase sections include fighting your way through a burning building, outrunning tentacles that can insta-kill you and falling walkways that spawn enemies, locking you into combat, forcing you to act that little bit quicker. 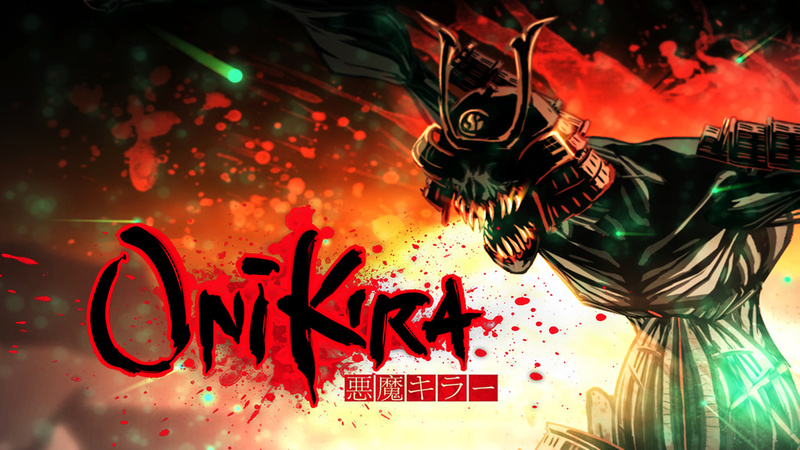 Onikira is set in a fantasy based Feudal Japan where Demons run amok and it's up to the main hero to purge the land of all that is evil. This is where I feel the game takes inspiration from Onimusha the most and has an artistically dark setting to match. The scenery is nice to look at, as it's multi-layered with things going on in the back and foreground. 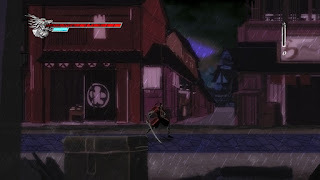 It's relatively easy to differentiate your Samurai hero from the environment and the only time you may struggle to see what's going on is when you're in the middle of combat with about 15 enemies surrounding you. Things get fast and frantic very quickly and rather than seeing your character, you end up just kind of instinctively feeling where your character will or should be. Cherry blossoms. A true part of Japan. Enemy designs can vary quite drastically. They're all hand drawn (Photoshopped) and not 3D generated, just like the environments you'll be battling through. 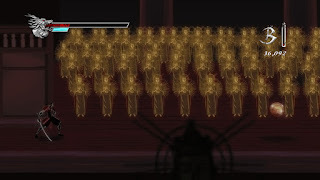 Demons vary from small floating heads with eye lasers, humanoid magical gunslingers, shielded shadow warriors, teleporting Kama Blade users, large dual-bladed monsters and even Skyscraper sized Bosses with eyes planted within their abdomens. Each have their own weaknesses, but it's nice to see such a refreshing art direction for an indie game. Overall, I really enjoyed what I played of Onikira: Demon Killer and although the version I played was just an Alpha code given to us, I believe outside of the odd frame drops and disappointing issues I had with the Keyboard controls, the game has potential. 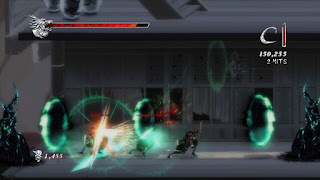 The combat is fast, frantic and deep, with each weapon different enough, giving room to favour one over the other. The styling is nice and although weak in the first two acts, there are a few entertaining songs/beats that you will openly like. I feel with a little more support on the keyboard and mouse front, Onikira can become a really great game, but the current lack of focus in this area lets it down for those who don't play with a controller. Through its flaws, was I impressed with Onikira and did I have fun? My answer to that is yes. I had a lot of fun and really hope the game does well. It doesn't deserve to be condemned by its flaws, but as a gamer, there's a set standard of quality I come to expect and Onikira is mostly there. It just needs a little refining, but overall I'd recommend giving it a try. 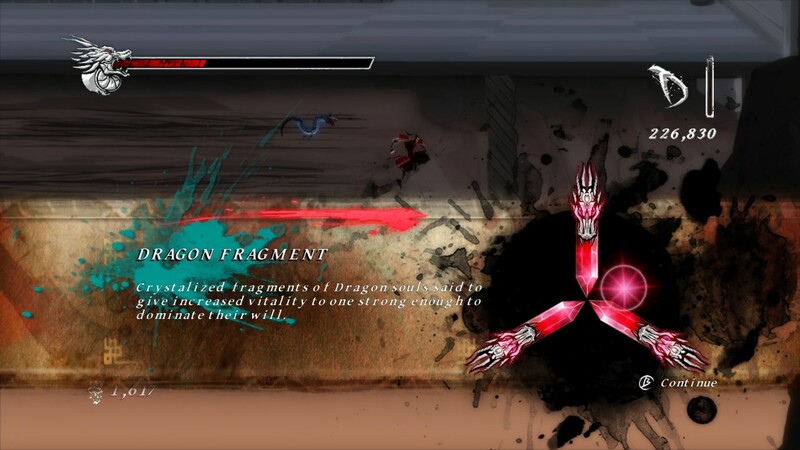 You can now buy Onikira: Demon Killer on steam, while DigitalFurnaceGames also plan for a console release sometime in the near future.